Marine Doyle of 45 (RM) Commando standing on high ground at Lauenburg, Schleswig-Holstein, Germany just after its capture following Operation ENTERPRISE. This Operation entailed 45 (RM) and 46 (RM) Commandos crossing the River Elbe and infilitrating the town of Lauenburg, 29th April 1945. This Marine Doyle of 45 (RM) Commando standing on high ground at Lauenburg,.. Art Print is created using state of the art, industry leading Digital printers. The result - a stunning reproduction at an affordable price. 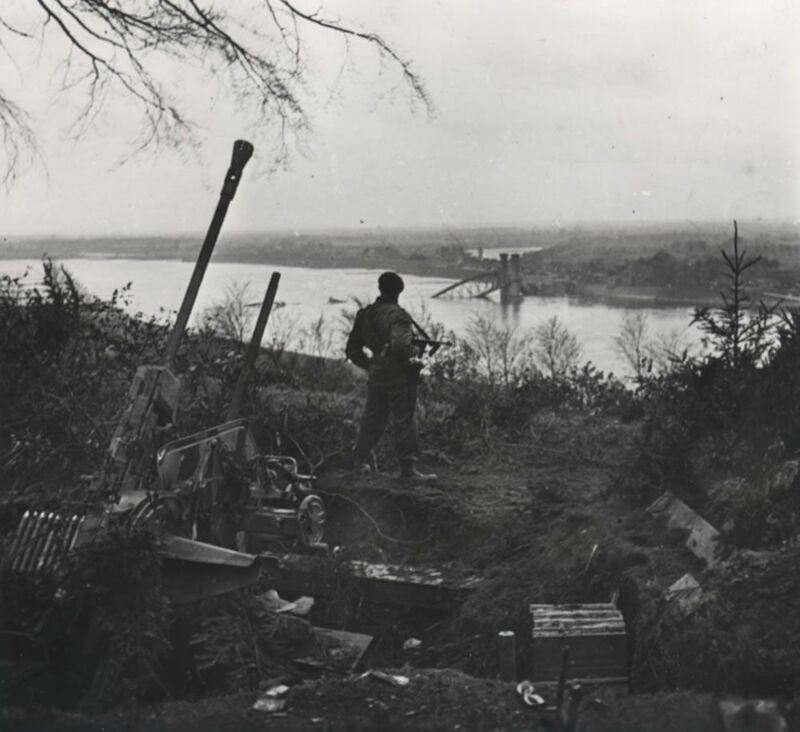 Marine Doyle of 45 (RM) Commando standing on high ground at Lauenburg,..